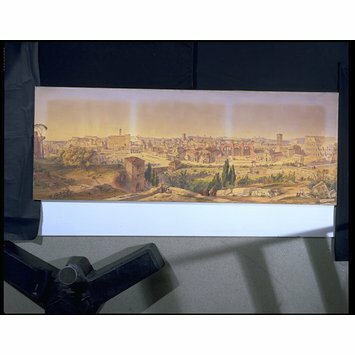 Watercolour depicting a view of Rome. 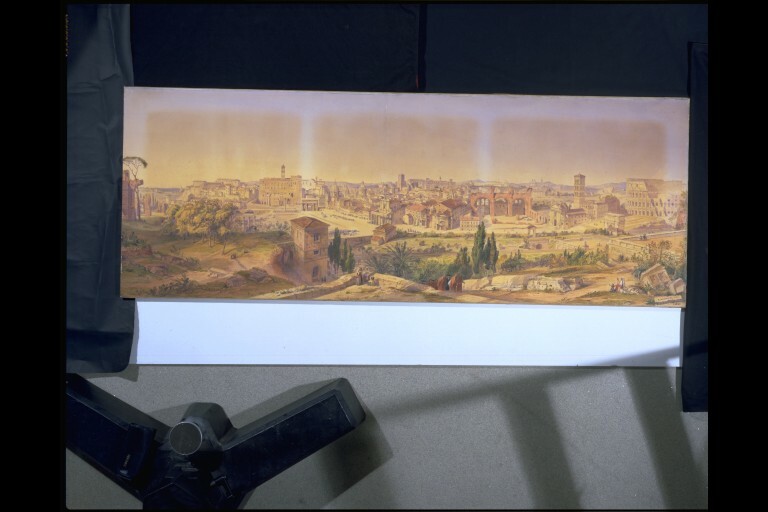 Watercolour entitled 'Rome as it is, from the Palatine Hill' by Arthur Ashpitel. British School, ca. 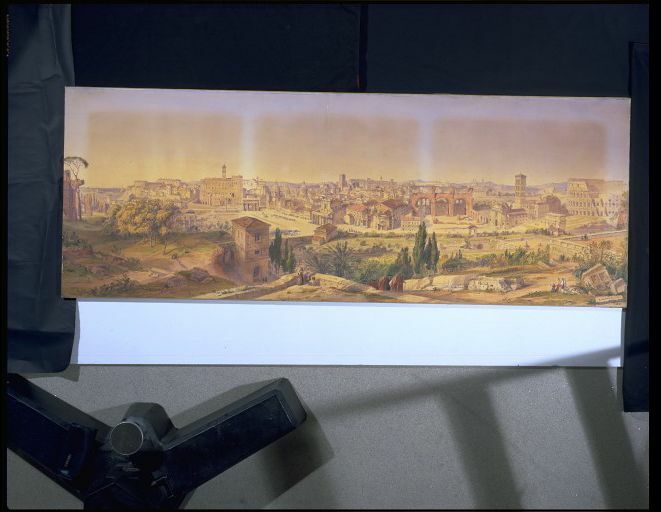 1830-60.